Lots of homeowners think they must need a brand new roof when they see a leak in their ceiling. This leak could be due to many different issues and not necessarily mean that you need a complete new roof. However, which problem warnings really determine whether a just some roof repairs will be all you need or the house really needs a whole new roof? How many years old is your existing asphalt roof? Most roofing professionals agree that a typical roof should work just fine for up to 20+ years. Other factors help you decide, such as, whether the old roof was removed and/or you only have one layer of shingles, and if it has been properly ventilated. If the roof was installed over another layer or several layers and it is older than 20 years, chances are you need a new roof. Shingles that are curling or buckling might be indicating that you may need a new roof. Check out the sides of the roof of your home that get direct sunlight and if the shingles are losing granules, curling and/or buckling, there is a chance that the shingles are past their life expectancy. What is the possibility that the roof is presently defective? Perhaps you should contact a licensed roofing contractor to see if you could be eligible for reimbursement. If your roof shingles are falling apart or missing in the roof’s valleys, it’s a very important sign that you need a new roof. 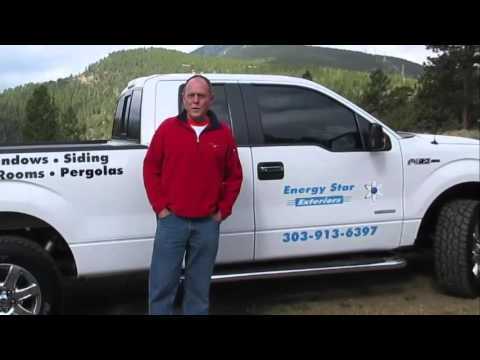 Valleys are one of the most significant protection areas of any roof. Snow and rain (especially in Colorado) flow heavily through valleys and into gutters. If the valleys are not perfect, you could be vulnerable to roof leaks. This is a very simple sign that your roof could be failing. Check to see if all of the shingle “tabs” are intact. Even some not-so-violent storms can cause missing shingles that will certainly indicate the need for a new roof. This is a worrisome concern. If your flashing consists of roof cement or tar, it may need to be replaced with a long-term, water-tight fitting, which would be a metal flashing system. Are your gutters loaded with shingle granules. Roofs lose more granules toward the end of their life cycle. 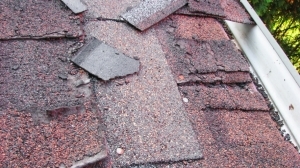 Darker color on some parts of the roof is another sign the granules have worn away. What if you notice a spongy feel or bounce when walking on the roof? This means the underlying decking is weakened from moisture. If your attic has any daylight coming through the roof boards, it’s a problem. Also is there any moisture in the attic insulation? What is the average cost to replace a roof? 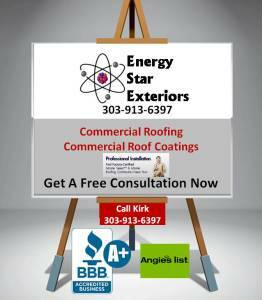 Avoid roof repairs with regular inspections? Is that roofer telling you the truth? Which shingle is the best? How do I get out of paying the insurance deductible for my hail-damaged roof? Should I pay roofing contractor up front? When is a good time to replace a roof, can it be done in winter?